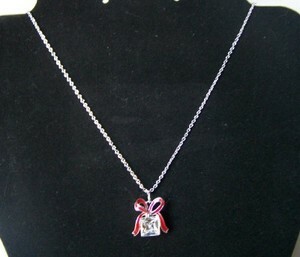 This present shaped pendant is just darling with a big red bow on top. It is made with Swarovski elements. It's about 3/4" long on a silvertone chain which is 17" long with a 3" extender.